Credit makes it possible for people to borrow money to pay for goods and services they might not have the funds for otherwise. Mortgages and auto loans are forms of credit and without those, many people wouldn’t be able to purchase a home or car. Credit cards can also come in handy to pay for expensive repairs, uncovered medical expenses, or costs incurred during emergency situations. While credit offers numerous benefits, people could get into trouble with it because they use it irresponsibly. This guide is designed to help educate you about credit and your credit report, and provides tips on how to improve your credit score. The two most common forms of credit are revolving credit and installment credit. Revolving credit – Revolving credit is when you are allowed to make charges up to a set maximum credit limit. You are required to make a payment each month toward your balance and are charged an interest rate. Credit will continue to be available to you unless you or the creditor closes the account or you reach your credit limit. If you reach your credit limit, you can pay down some of your balance and free up your credit for access. Credit cards are a type of revolving credit that most people are familiar with. Installment credit – Installment credit is a loan with a set repayment term. You pay an amount each month until the term is up. Mortgages and auto loans are examples of installment loans. Your credit score is a numerical rating ranging from 300 to 850 that is given to you based on the information that is in your credit report (more on that later). Someone who has a lower score is deemed to be a higher risk for becoming delinquent on payments. People with higher scores are considered more likely to keep their credit obligations, e.g., pay back what is owed on time. People with scores on the lower end of the credit score range are typically subjected to higher interest rates. Someone with a poor or less favorable score may have trouble even qualifying for a loan and may be denied outright. Those who have higher scores have increased borrowing opportunities at more favorable rates. It is in your best interest to have as high as score as possible. So now that you know what a credit score is, it is important to understand how it is calculated. Your score is computed based on the information that is in your credit report. It is a mathematical computation that looks at how much debt you have, the types of debt, and your payment history. 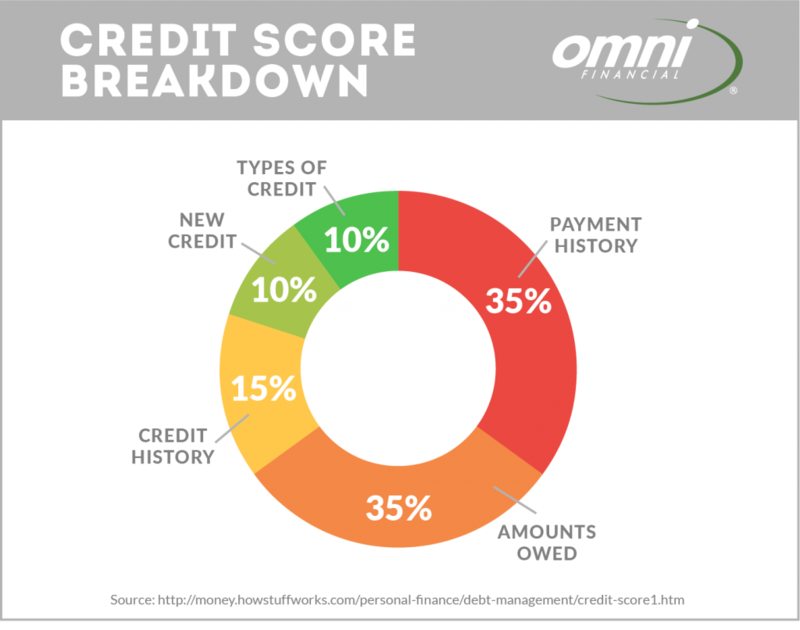 The chart below illustrates the types of information that a credit report contains and the approximate weight each factor is given when determining your score. Understand that different credit score models may have different factors and weights. Payment history (35%) -Information on account payments, bankruptcies, civil judgments, and tax liens. It also lists amounts past due and the length of time they have been delinquent, as well as the length of time since any negative occurrences. Amounts owed (30%) – The amounts you owe on accounts individually and as a total. It also includes the amount of available credit you have on revolving credit accounts, the proportion of installment loans still owed, and the number of accounts with balances. Length of credit history (15%) – How long your accounts been open and active. Types of credit (10%) – How many types of accounts you have including mortgage, installment loans, credit cards and retail accounts. New credit (10%) – The number of recently opened accounts in proportion to your total accounts. Credit reports are compiled by and available through three credit reporting agencies: Experian, Equifax and TransUnion. Credit scores that fall below 630 are considered less favorable. If you have a low credit score here are steps you can take to improve it. First things first. Review your credit report to make sure there aren’t any errors on it. And don’t worry – contrary to popular belief, checking your credit report will not negatively impact your credit score. That’s because this type of check is a “soft” inquiry which is when you pull your own credit report or a potential employer requests it for a background check. “Hard” inquiries can possibly affect your score since those involve credit reports pulled for loan and credit card applications. Checking your report is free. Visit AnnualCreditReport.com to get started. Are you stuck in the cycle of revolving credit card debt? It can be hard to get out of it. Did you know that the average amount of credit card debt per person in the United States is $3,8051? If you have high balances and interest rates, it could take years, or even decades, to pay off your balance. Paying down your credit cards – and not charging any more on them – is key to improving your credit score. See below for tips on how to get your balance moving in the right direction. If you know that late payments are a problem for you, try to set up autopayments for your bills. Just make sure that you always have enough money in the bank to cover the amounts due. Many credit card companies also let you set up payment reminder emails or texts that will alert you of upcoming due dates. Some credit cards, and even utility companies, may allow you to change the payment due dates. This can help your payments better align with your work pay dates. It might seem like a good idea to close out the credit cards you don’t use, but doing so can possibly work against you. When calculating your credit score, credit bureaus look at your credit utilization ratio; that is, how much credit you have available compared to your outstanding balances. A rule of thumb is to keep your credit utilization ratio below 30% on all your cards. Having available credit, but not using it all, can help keep you on the right side of the credit utilization ratio. Closing out your cards reduces your amount of accessible credit, thereby affecting the ratio. A person can sometimes have a lower credit score simply because he or she does not have an established credit history. This can happen if you are young or have never had a credit card. The credit reporting agencies do not know if you are responsible with credit; they do not have enough information in which to base your score. If this is your situation, an installment loan might be a good option. While it may seem counterintuitive to take out a loan to improve your credit score, in these types of scenarios, borrowing a small amount could actually give your score the boost it needs. You shouldn’t take an installment loan out solely for this reason, but if you are short on funds, it is something to consider. Remember, however, that an installment loan will only help build your credit score if you pay it back per your agreement. Not following the payment terms will undoubtedly hurt your score. If you underestimated what you owe, don’t worry. Getting organized and understanding your debt is a great start for getting back on the right financial track. Paying only the minimum amounts due each month won’t get you out of debt any time soon. You will be paying much more in interest over the long-term and you will continue to have a higher credit utilization ratio. By scrutinizing your budget, you may be able to identify areas where you can cut back so you can allocate extra money to your credit card payments. For example, if you regularly spend $15 twice a week on takeout food, try cutting back to just once a week, and add that $15 to your credit card payment. Look for other ways to reduce your monthly expenses and you could make an even bigger dent in your credit card bills. The higher your monthly payments, the quicker you’ll be able to pay off your balances. When your interest rates are high, it can seem nearly impossible to break out of the spiral of credit card debt, especially if you are paying just the minimum each month. If you have had a credit card for a long time, and have a good payment record, you can call the credit card company’s customer service number and try to negotiate a better rate. But before you call, do your homework and see if a competing card is offering a lower rate. Ask your credit card company (politely) if they will match the competitor’s rate, or at least come close to it. Credit card companies want to keep loyal customers and may agree to it. Another way to lower your interest rates is by taking advantage of balance transfer promotions. These credit card deals typically offer very low rates for a special introductory time period. Balance transfers can give you the opportunity to move a large, high-interest credit card balance, or consolidate several card balances, into one new, lower interest card. This can save you hundreds or even thousands of dollars over time. Keep in mind though that most balance transfers include a fee that is usually a percentage of the transferred balanced. If your existing card balance is relatively low and you will be paying it off soon, it might not make financial sense to transfer it. If you decide a balance transfer is the right choice for you, you don’t have to close your old accounts, just do not use them! The last thing you want to do is rack up more debt. Pay off the cards with the highest interest first – If you have several credit cards, allocate any extra funds you may have to the one with the highest interest and pay the minimums on the rest. For example, if the minimum payment on your highest interest credit card is $35 but you can afford to pay $50 a month, then put that extra $15 payment toward that card. Once that card is paid off, use that same strategy to pay off the next highest interest card. Pay off the card with the lowest balance – Achieving a zero balance can be motivating. By putting extra money each month toward the credit card with the lowest balance, you will be able to pay off that card quickly. Once that card is paid off, apply that same amount of funds to the card with the next lowest balance. This tip won’t reduce your existing debt, but it will help you avoid accumulating more of it. Pay in cash or with a debit card and leave your credit cards at home. Don’t spend money you don’t already have. But while you should put away the plastic, canceling your cards is not recommended. You want to show the credit report powers that be that you can have credit and use it wisely. Again, it is about that all-important credit utilization ratio. Plus, it’s a good idea to have one credit card in case of a true emergency situation. 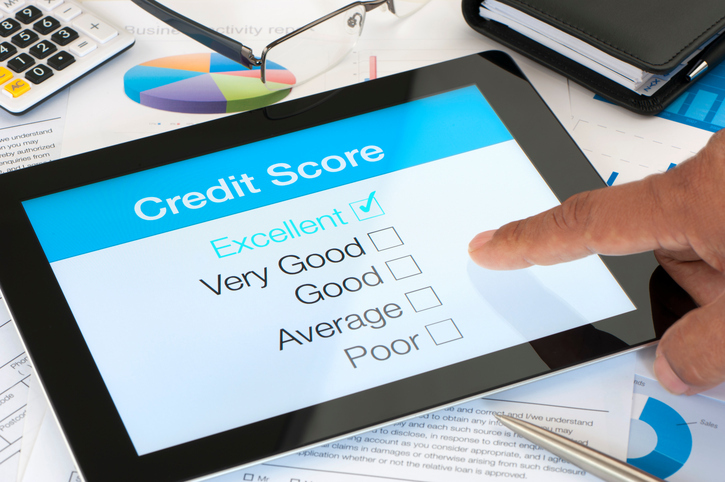 Even if you are pretty certain that your credit report is fine, financial experts recommend reviewing it once a year. It’s a smart financial task and it’s free! You are entitled to receive one free copy of your report every 12 months from each of the credit bureaus: Experience, Equifax, and TransUnion. To request your free report, visit AnnualCreditReport.com. This is the only website authorized for ordering a credit report. Be cautious of lookalike websites that may charge you. At AnnualCreditReport.com, the credit reports are always free and can be ordered by mail, email or phone. Even small mistakes on your credit report could negatively impact your credit score and your ability to apply for a loan. Scrutinize your report to ensure that all the information is correct. Review your name and address, your creditors, current balances, etc. Credit bureaus aren’t infallible and something as simple as an extra numeral on a balance amount could wreak havoc on your credit score. If you see something incorrect, you will have to inform the credit bureau agency in writing. Visit the Federal Trade Commission (FTC) website for details on how to dispute credit report errors. Identity theft and fraud are widespread in our society and you might be a victim and not even know it. According to the 2017 Identity Fraud Study, $16 billion was stolen from 15.4 million U.S. consumers in 2016. The Consumer Sentinel Network, maintained by the Federal Trade Commission (FTC) reported that in 2015 there were 490,220 identity theft complaints.3 These are scary statistics, but being vigilant about checking your credit report can help you spot any problems so you can take care of them quickly. If while reviewing your report, you notice any unfamiliar Social Security numbers, names, accounts, or addresses you could be a victim of identity theft and you’ll need to take action. Your first step should be to visit IdentityTheft.gov, the Federal Trade Commission’s website designed especially for people to report and recover from identity theft. The FTC will create a personal recovery plan for you based on your specific information. Part of your plan will be to contact one of the three credit bureaus to place a fraud alert on your file. The credit bureau you contact must tell the other two. A fraud alert is free and lasts 90 days. If someone tries to open an account in your name, creditors and lenders will see the alert on your file and take additional steps to substantiate identification. The length of time it will take to improve your credit score depends on the factors that have influenced it. If your score is lower due to lack of a credit history, you could possibly raise your score within a few months by opening an installment loan. 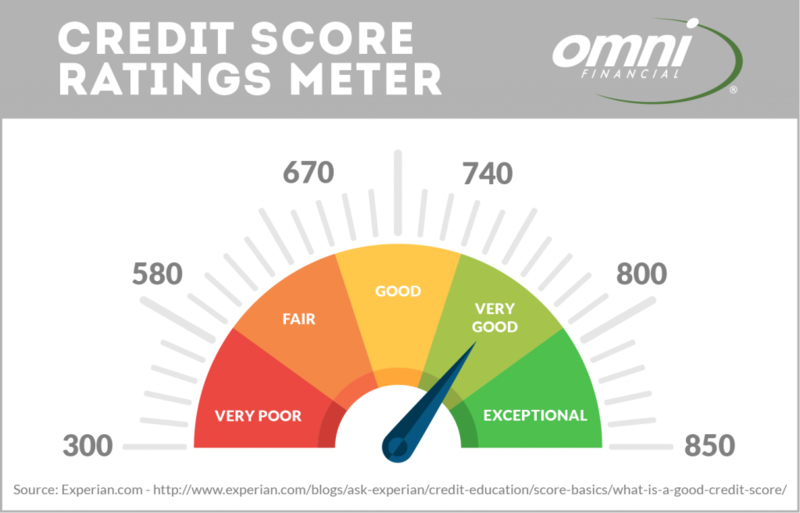 If you have a less favorable score due to a high credit utilization ratio, your score will change once you lower that ratio by making regular payments and not acquiring any additional debt. Bankruptcies or loans that have been turned over to collection agencies will stay on your credit report for years. In those cases, it may take some time to improve your score. While it can take years to establish good credit, it unfortunately takes just a few missteps to bring it down. Don’t get discouraged if you are doing all the right things and are still having credit issues. Rebuilding your credit score is not a quick fix. Identify your problem areas, and be diligent about tackling those matters head-on. In time, you’ll be rewarded for managing credit responsibly with a higher credit score. Consider your credit repair journey as a way of developing good financial health habits for life! Want to improve your financial literacy? Omni Financial has partnered with the AFSA Education Foundation to offer free online MoneySKILL®courses. These courses and resources can help you gain practical money management knowledge so that you can reach your short- and long-term financial goals. Learn more. *This information provided is for information purposes only. It should not be considered legal or financial advice.